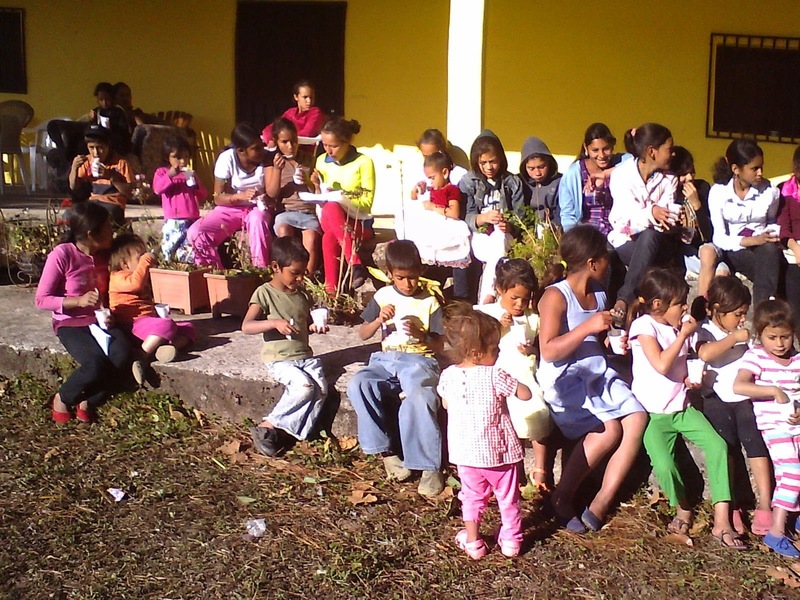 La Sabana is one of the villages of the parish community of Las Casitas, in Tegucigalpa, where we have the extension of our community in Honduras. 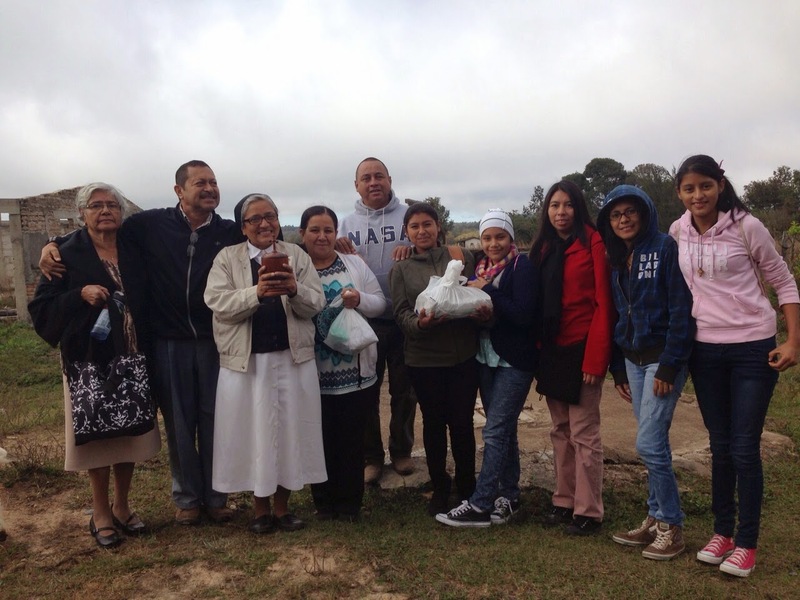 A few weeks ago, Sr. Deysi Silva went for a week with a team of six members from Las Casitas to la Sabana. Their ages ranged from 11 to 82 years old. Our mission was a great success because Christ was at the center of everything that we did and lived. 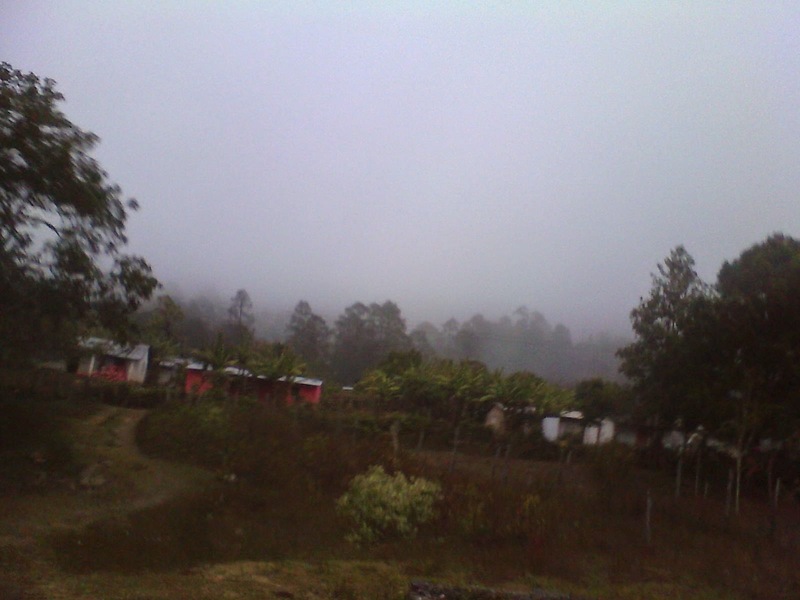 We left on Monday from Tegucigalpa after having early morning Mass. The day was cloudy and cold but our hearts were warm thinking about the people waiting for us in a far away village located on a high mountain. We arrived to an abandoned house, that had been closed for a long while. We had to start organizing the house, cleaning, and dividing the work to do. Each one had a group for catechesis. I had those preparing themselves for first communion. To see those people so thirsty for listening to God´s Word was a great experience in my spiritual life. I was feeling myself a real missionary with a greater desire to know him better. People shared with us from their poverty. We received from them, joy, hope and a radiant love. How many gifts we can find in others when we share God’s Words with them. We also feel the need to give from what we have and what we are. We left behind the comfort of our houses to live those four days without electricity, carrying the water from the well, cooking outside with wood in the middle of the cold. But we were together as a real family. It was a great joy, to live as a community. We brought food for us but we shared it with children, adults, sick people, mothers. Most of them were really hungry. When we saw their houses and their poverty we were amazed to see the way they welcomed us, sharing from their poverty with great joy. Within myself, my faith has grown. I feel committed to keep praying for this community. May God save them, keep them firm and strong in their faith. I hope I´ll have the occasion to go back and live again this experience that touched my heart so much. This has been a great experience for my 82 years. La Sabana is my hometown. I was feeling very well. I think it was Jesus who invited me for this great mission where I could visit the sick from the village and teach catechism. I was very happy when Sr. Deysi told me that I could go to the mission. At the beginning, I took it as an occasion for an outing and to know other places. 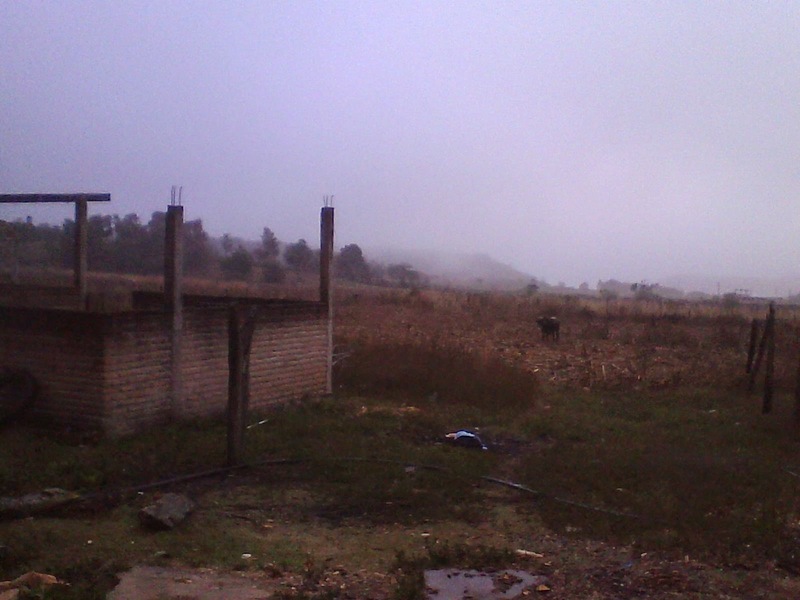 It was far from a promenade, I didn´t know many places but I found wonderful people. I had the occasion to teach the little ones and the first day I found myself in front of more than 60 kids. I was very nervous since it was the first time that I was teaching catechism. Next day, I had more children and I wanted to cry thinking that I was giving God's Word to other children. In this mission I discovered that I want to be a catechist and a missionary. I feel that I renewed my faith. It is giving that we receive. This is the first time that I go out of my town. I learned a lot. I discovered Jesus in the midst of those in want. I never thought that this mission could change my life so much, to the point that I´m not the same. sharing with others I learned that those who are really poor, can share from their poverty and give us hope and joy. I feel grateful that God chose me for this mission. It is not easy to say what is growing within me after this experience. I appreciated the Morning Prayer and the sharing after a day with people. We shared experiences, we laughed and we were feeling like a family. It was a very good experience, with God´s presence. Now, I´m thinking why God chose me for that mission. Before the mission I didn´t know that I was gifted to work with youth. God showed me that I can’t trust myself but I can do many things if I put my trust in Him. 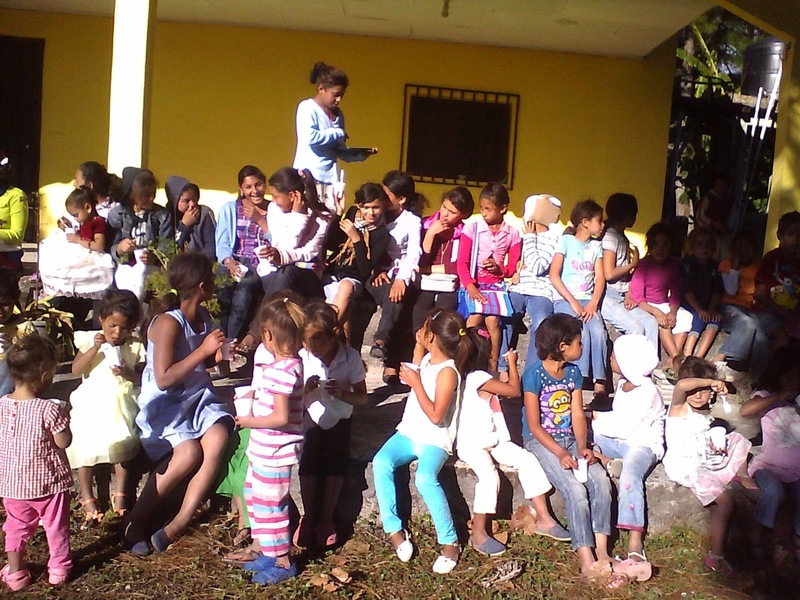 As you can see with the extension of our community in Tegucigalpa, our mission in Honduras is growing and responding to other needs. 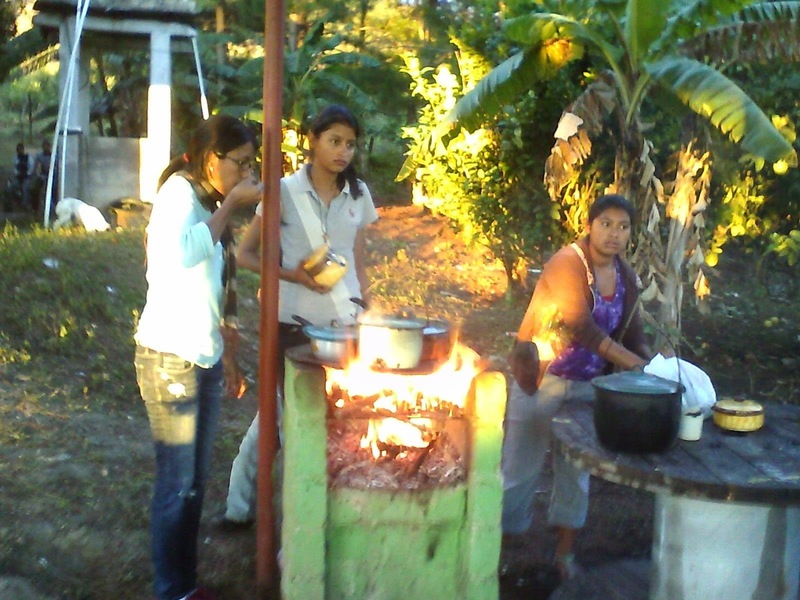 Our sisters are truely integrated in this parish commuityof Las Caistas, where they have found a place to share the knowledge and love of Jesus Christ with old and young, sick and are alos preparing others for ministry. 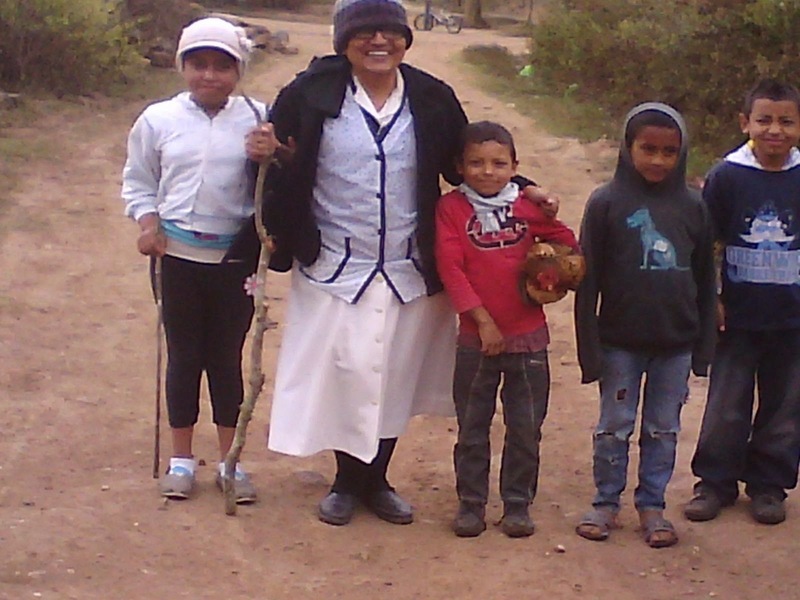 Now Cindy, the first one to share in this blog, started on Easter Sunday a time of Aspirancy with our sisters, to continue discovering her vocation, to conitnue listening to God´s call in her life!